The most significant religious monument in the city of Gambassi Terme is the Pieve di Santa Maria a Chianni which is located not far from the city center, along the Via Francigena. Chianti vineyards along the way. Looking back towards Gambassi Terme. 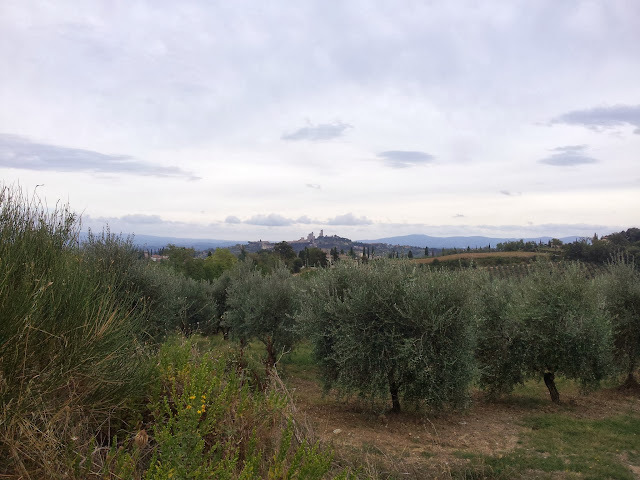 The towers of San Gimignano in the distance.